Filter by GOTY Ed. Standard Special Ed. 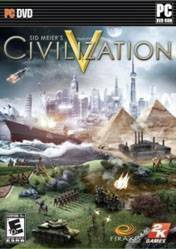 Sid Meier's Civilization V (also known as Civilization 5 or Civ 5) is a turn-based strategy, 4X computer game developed by Firaxis, released on Microsoft Windows. n Civilization V, the player leads a civilization from prehistoric times into the future on a procedurally-generated map, achieving one of a number of different victory conditions through research, diplomacy, expansion, economic development, government and military conquest. The game is based on an entirely new game engine with hexagonal tiles instead of the square tiles of earlier games in the series.Many elements from Civilization IV and its expansion packs have been removed or changed, such as religion and espionage. The combat system has been overhauled, removing stacking of military units and enabling cities to defend themselves by firing directly on nearby enemies. my friends play this and they like it too much !! Great game in the Civilization series from 2010, highly recommended.